There are so many benefits to decluttering your home yet knowing that doesn’t make the task feel any less daunting. 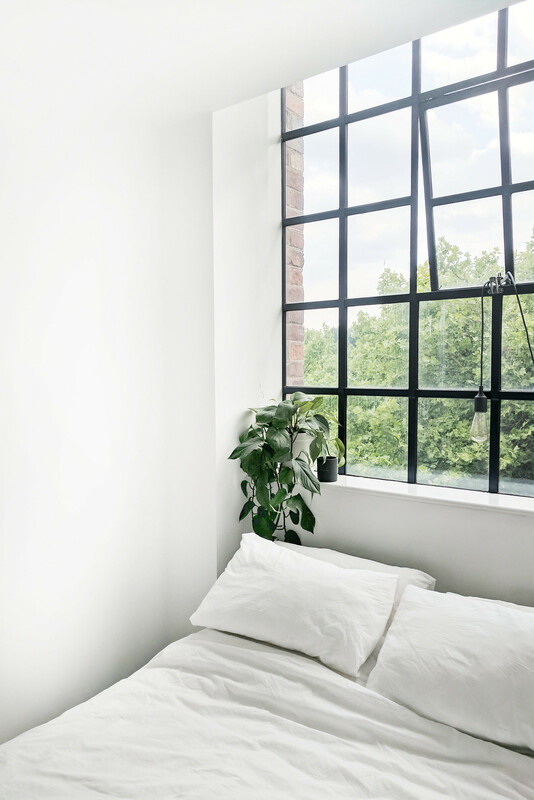 Even if you’ve previously simplified your space, clutter gradually creeps back in unless it’s kept in check and it can be tough to build up the motivation you need to deal with it. It’s been years since I gave my apartment a deep declutter yet I still struggle with the motivation to stay on top of it. Decluttering is always an ongoing process. With every gift given to us or piece of junk mail pushed through our letterbox, clutter finds its way into our lives often without us realising. It feels so much easier at the time to just shove the things we don’t want into a cupboard or drawer except the longer we put off dealing with it, the harder it gets. If you’ve trying to simplify your life, you’re stressed by your home being stuffed with things you don’t want or you need to maintain a clutter-free home but are finding it difficult to stay motivated; these are my tips for making decluttering easier, staying motivated, and getting the job done. Having a strong vision is crucial when decluttering your home; knowing why you want to declutter and how you will benefit from it provides huge motivation to keep going. Decluttering can be a lot of hard work, emotionally draining, and somewhat boring especially when you’re starting with cupboards and wardrobes bursting with stuff. 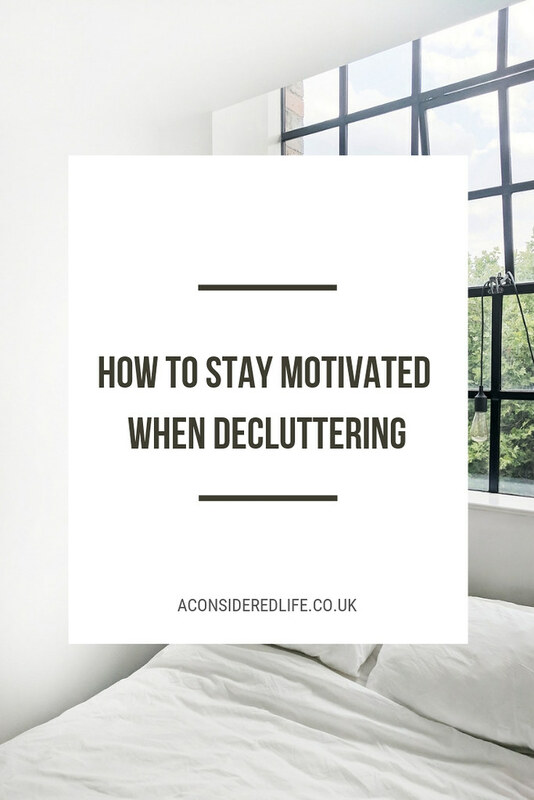 When you’re decluttering just to keep on top of what’s coming into your home, it’s still a challenge to stay motivated - we’re all guilty of feeling tempted to push something to the back of a draw with a promise to deal with it later! Identifying what clutter is to you and considering what you want to achieve by decluttering your home will enable you to set clear goals and intentions; visualising what your ultimate outcome looks like will help you to stay motivated while you push through the decluttering process. Identifying your reasons for decluttering your home, setting clear goals, and understanding your intentions will make the process easier and less draining. Decluttering is time consuming so it’s important to schedule a time and date for doing it. Diving straight into decluttering on a spur of the moment decision can be disastrous, that initial enthusiasm quickly drains away once we realise how big of a task it really is. Whether it's an entire room or a single cupboard, you'll have more success with seeing it through if you dedicate a specific timeframe to do your decluttering in. Some rooms, especially if they’re stuffed with stuff you no longer want, might take longer than a few hours or even more than one day. Over-stretching yourself by trying to “push through” just to get it done will leave you feeling burnt out and less likely to finish the job if you have to step away. Be realistic with your expectations and try to avoid underestimating the time you need to complete a decluttering chore. Always give yourself more time than you imagine it taking you; it’s a lovely surprise when you complete the decluttering earlier than expected and if you don’t, you’ll be thankful you have the spare time to finish the job. If you have a lot of areas in your home that need decluttering, create a list of rooms and what needs to be tackled within them. This list can serve as a guide for working through your decluttering process but also tracks your progress, which will help you stay motivated when you’re surrounded with stuff you don’t know what to deal with. When you’re decluttering your home room by room, it’s easy to lose sight of the progress you’re making. Taking photographs before, during, and after the decluttering process serves as a visual reminder of how far you’ve come. There will be a moment where things get messier before they get better; these photographs will remind you that things do get better! Set concrete deadlines for decluttering your space; it could be to declutter a certain room over the weekend, or your entire house within 12 months. Whatever you decide on for your deadline, make sure it’s realistic and track your progress as you go. Decluttering a little every day, instead of in time intensive bursts, can be a lot more effective and can help you maintain the motivation you need to complete the job. Reward yourself for your accomplishments. Make the reward something enticing to look forward to and that will motivate you to keep going: coffee with friends or a dinner date with a loved one, a new book to read or a trip to the cinema. The true reward is a home that’s clutter-free, however, a little treat to brighten your day when the work is done makes the process a whole lot sweeter. How do you stay motivated when decluttering?